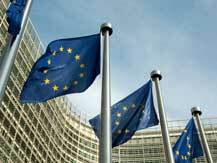 EUROPE – Chairman suggests partial financing of independent budget by levying fees on industry. Is the closure of Swedish energy company Vattenfall’s pension foundation a one-off or the shape of things to come? Nina Röhrbein reports. The Fonds de Réserve pour les Retraites has undergone a radical strategy reshape following the 2010 pension reform and volatile equity markets in 2011. 2013 will be action-packed, writes Cécile Sourbes. According to Nassim Taleb, we are living in a fat-tail world where extreme events are common, while our ability to predict them is nil. Mariska van der Westen asked him how pension funds can survive in such an environment.